Just like I didn’t appreciate how American I was until I spent time living abroad, and just like I didn’t realize how Midwestern I was until I moved to the east coast, I didn’t realize how female I was until I started my own business in a male-dominated field. I became acutely aware of this while listening to the 5th episode of the Pancake Town podcast from Chicago business owners Emily and Michelle about their distaste for the word “girlboss” in particular and for women-focused business support groups in general because those things are, or at least represent, a lifeline for me. I’ve written before about how I wish there were more female entrepreneur role models for me to look up to. The ones that come to my mind quickest: Sophia Amoruso, Sara Blakely, Martha Stewart, all have something in common. They are all white, like me. In honor of Black History Month, I wanted to learn about female African American entrepreneurs to be inspired by them, too. Their stories, their struggles, and their successes aren’t told nearly enough and are truly inspirational. Sarah Breedlove, a.k.a. Madam C.J. Walker, started life in Louisiana as the first child in her family born into freedom after the Emancipation Proclamation. Orphaned at age 6, she went on to become the first female self-made millionaire in America through the success of her Madam C.J. Walker Manufacturing Company, which sold beauty and hair products. After learning about hair and beauty products at her brother’s barber shop, she devised her own line and her own beauty college to train “hair culturists”. She emphasized the importance of philanthropy and political engagement as many African American entrepreneurs do, rewarding employees not just for their sales but also for how much they contributed to local charities. While attending school, Maggie Walker (no relation to Madam C.J. Walker) became involved with the Independent Order of St. Luke, a fraternal organization dedicated to the social and financial advancement of African Americans. She stayed active in the organization while raising her children, assuming control of it in 1899 when it was on the verge of bankruptcy. In true entrepreneurial style, she refused to let her organization die. In 1901, she gave a speech on how she would save it and, in the coming years, followed through on each item she described. Soon she founded the St. Luke Herald, a newspaper to carry news of the organization’s work to local chapters. The following year, she opened the St. Luke Penny Savings Bank and served as its president, making her the first black woman to charter a bank in the U.S.. A few years later, she opened the St. Luke Emporium, a department store that offered African-American women opportunities for work and to give the black community access to cheaper goods. Of all the women on this list, it was hardest to find information for Maggie Walker. I love the sense of her determination though, and to do what it takes to make her vision become a reality. Mary McLeod Bethune was born into a big family of 17 kids in South Carolina. She had an early love of education and was the only person in her family to go to school. She would come home and teach her siblings what she had learned. After moving to Florida as an adult, she became determined to open a school for girls because she believed that educating girls and women was crucial to improve the conditions of black people. Ms. Bethune’s incredible ability to market and grow her school is what earned her spot on this list of African American entrepreneurs; her school grew from 6 pupils in 1904 to eventually becoming incorporated as a college in 1931, with herself as president. Ms. Bethune went on to do amazing things as a public leader, which I encourage you to read about. (Incidentally, I agree that educating girls is key to transformational change, which is why we support World Bicycle Relief). 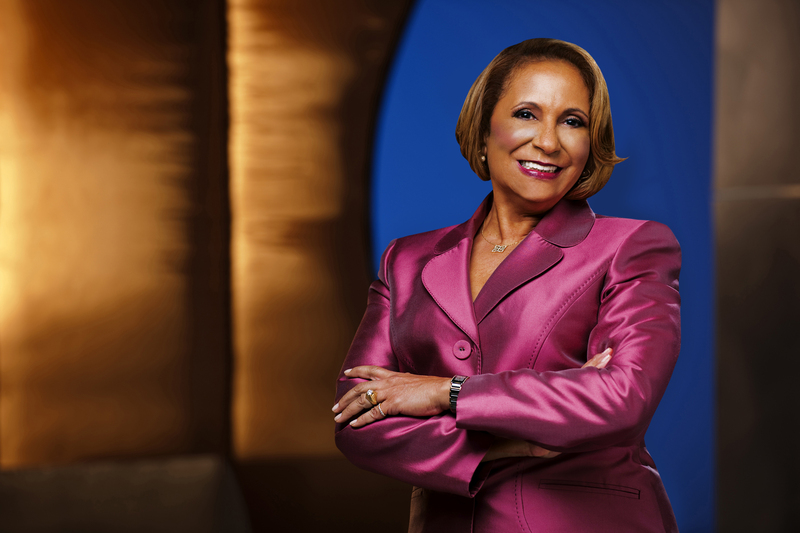 Cathy Hughes is best known for starting Radio One in 1980, which has grown into the largest network targeting African American and urban listeners with 55 stations across the country. Like the other women on this list of African American entrepreneurs, Ms. Hughes had humble beginnings, becoming a teen mom at age 16 and kicked out of her home a year later. One of the best known stories about her is how she and her young son lived at the radio station in its early years when it (and, by extension, they) were struggling financially. This story really struck a chord with me, because while I have not had to sleep in Po Campo’s warehouse yet, I know that I would do that if it meant keeping my business alive. Ms. Hughes is very inspiring woman and I encourage you to read this interview in the Huffington Post about her. Well, you can’t have a list of African American entrepreneurs and not include Oprah Winfrey. Her story begins with being born into poverty in Mississippi to a teenage mother. She became a millionaire at age 32 when her show went national and is now considered the U.S.’s only African American billionaire. Of course her vast wealth is impressive, but how she overcame so many barriers to get to where she is today is truly inspirational. This video from the Makers series lets Ms. Winfrey tell her own story of her upbringing, her fight for equal pay, her bold philanthropic visions, and how she had to tell all the non-believers “I’ll show you” – and then did. In 2013, I attended the National Women’s Bicycling Forum in Washington D.C. and sat in on the panel discussion entitled “Insight from the Industry: The Keys to Closing the Gender Gap”. In discussing different ideas for inclusion of women in the biking industry, Julie Harris from REI talked about how her organization changed their interviewing process after realizing it was predisposed to favor males. Their former process used to include questions that required applicants to rate themselves, but after learning that males tend to rate themselves higher than women do, regardless of ability, they decided to remove this practice from their employee selection process. I was impressed that REI took responsibility for their process and did not fault women for answering the way that they did, as I often feel like the solution to problems like this is, “women just need to learn to be more confident!”. (Why never “men need to learn to be more modest!” WHY!?) I find psychology to be so insightful, yet so rarely do I hear about companies learning from its lessons and changing the way that they do things. Bravo REI! Fast forward a year and a half and I’m toiling with the idea of adding a new person to my team. I started with writing a job description to make sure I knew exactly what I wanted this person to do (Simply “Help Us!” doesn’t work – I tried). I made a list of everything I wanted the person to do. Then I made a list of all the skills I wanted the ideal candidate to have, and then I made a list of certain personality traits that I think this person should possess to fit in with our culture. Much to my chagrin, in doing this exercise, I caught myself drafting a job posting that favors men over women. There are very few people that would be able to “check the box” for all of these things, and almost certainly no one that would be willing to do it for the what I can pay. Rather, I was hoping that applicants would get the idea of what I was looking for, craft their cover letter and resume accordingly, and then I could pick who I thought was closest to the ideal candidate. Seems logical, right? Similar to the illusory superiority cognitive bias that men possess and that REI corrected for, I am also aware that women tend to apply for jobs only when they meet 100% of the criteria, whereas men apply when they meet 60%. (This statistic is from a much-quoted research study from Hewlett-Packard). Since I already knew that there was likely no person that could fulfill 100% of the criteria I outlined in my job posting, wasn’t I biasing the application process towards men from the outset? Equipped with this knowledge, I revisited my job description and job posting and rephrased some things to level the playing field somewhat, such as changing the standard “Required Qualifications” to “Desired Skills & Experience”. I also tweaked the description of my ideal candidate to include being “comfortable with challenging assumptions” to give her permission to break the rules a bit, to apply even if she doesn’t feel qualified. I just hate the thought of the perfect candidate being out there somewhere but not applying because she doesn’t want to waste her time, and I believe these small changes will make a difference. Have you encountered gender bias in your workplace? In what way and how have you addressed it? I’m very curious to know! Please leave comments below.